You are now able to renew your membership for 2017. We are planning lots of exciting things and more opportunities to fence than ever before, so we hope you will join us for another great year of swordplay. We are also planning fun days, competitions, camps, and more! You can choose to pay by credit card online! Simply check your details are up to date, choose your membership category, then pay through the secure payment gateway. You can also choose to upgrade your affiliation level at the same time. You can pay by Direct Deposit! If you download the Word version, you can type in your details and e-mail it to us. The PDF version is best for printing it out and handing it to us at training. You can pay by cash or cheque! Bring your cash or cheque to training along with your membership form. Not fencing often, or want to pay by the term? This option is for you. To pay by the term, pay the term fee upgrade ($150), or the term fee for your class. Just want to fence? This is your best option. Hop on the pistes for free bouting or squad training any time you like, all year. All the fencing you want, no more to pay. As well as free bouting, join any class (or all of them!) run by the club at no extra cost. As a guide – if you normally fence in a class, you will save a lot of money with the fencing plus membership. The only exceptions are the Swordplay and Wee Musketeers classes, which are cheaper by the term if that is the only time you are fencing. Don’t forget there is a family discount if you have more than one family member fencing. Sat Jan 14th – Saturday sessions start, 10am-12pm. Fencing Try-Out day for kids, so bring your friends! Sat Jan 21st – 10am-12pm. Fencing Try-Out day for teens & adults, and free fencing for our members. Wed Feb 1st – Start of new pre-school and adult classes in Vermont. Thu Feb 2nd – First Olinda session. Start of Vermont Sth After-School class. Sat Feb 4th – Start of term 1 Saturday classes, sessions run 9am-1pm. Tue Feb 7th – Tuesday nights at Mitcham run 7pm-10pm. New U13 class starting at 7pm. Thinking of taking up fencing in 2017? A great place to start is with our fencing try-out sessions. There is no cost, just turn up dressed ready for sport, bring a bottle of drinking water, we’ll supply the rest! This session is aimed at ages 5-12, and makes use of foam and plastic weapons. Runs 10:30am-11:30am, Nunawading Community Centre. This session will use the regular metal swords and full fencing kit. Aimed at ages 12+, but ages 9+ are fine if they are joining in with older family members. Runs 10:30am-12pm, Nunawading Community Centre. 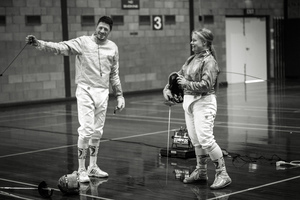 Thinking of buying some fencing kit, but not sure where to start? The end-of-year Equipment Order Form is back, with a selection of package options from Fencing Imports Australia. You can also order single items as required. Simply fill in the form with your details and what you want (don’t forget size measurements), then either hand it in at training before the end of November, or had it directly to Kayt at any time. If you order 2 or more packages (and a fencing bag to carry your new kit counts as a package by itself), then you get 5% discount on the listed prices for FIE items, and 10% discount on everything else. Can you believe it, the end of 2016 is in sight! Our annual BBQ will be held Saturday December 3rd, 12:30pm in Halliday Park Mitcham. As usual, it will be BYO meat for the BBQ, and bring a plate of something to share. The schedule for the day includes our regular classes in Nunawading in the morning, and an epee team match between the Olinda and Nunawading epeeists. Fencers should have time to get cleaned up in the on site change rooms before car-pooling to the park for lunch. After eating, we will hand out the awards! Nominations are being accepted now! Awards include the Challenge Cup, Most Improved, medals for the club championship winners, and President’s Choice. There are also such awards as Most Impressive War Wounds, Most Spectacular Equipment Failure, Most Entertaining Bout, Drama Queen, Referee Extraordinaire, and Best All-Rounder. As a final follow up to our successful Women’s Fencing Symposium, we wanted to share with you all the results of our survey taken at the event, and some thoughts about day and further possible events. This was the first time we’d tried anything like this, and we had no idea what people might actually want! So we kind of threw in everything to see what would stick. We’re really happy with all the positive feedback people have given us. Our guest speakers were wonderful, and apparently you all enjoyed the opportunity to hear their different perspectives side by side. We also used it as an opportunity to reach out to our wider community and potentially recruit new members. In this it has proved quite successful, and we were delighted to have some offers of sponsorship for the event. Thanks again to Lifestyle Portraits and Amante Jewellery for their generous contribution. The raffle raised enough to cover all costs, which is more than we hoped for when we started out. We counted about 40 people in the audience on the day, once we add in the speakers, and the family members and infants lurking at the back there was probably around 50 people in the hall for the event. 7 Prospective fencers joined our have-a-go session, while existing fencers enjoyed a warm-up activity with Sam Auty and fencing with each other. We tried to aim this event for all ages, to demonstrate the breadth of the women’s fencing community that exists and bring together women who might not normally interact. We wanted our young fencers to know that fencing doesn’t end when you become a teenager, and for the oldest to see the enthusiasm of the young girls who will benefit most from what we build now. A significant number of people were unaware of what would be happening at the event. Some were surprised to have speakers, others were surprised there was fencing. We had assumed people would check the website for detailed information – but this does not appear to be what happened. Future events will probably be more focused and easier to concisely advertise. We received 21 surveys back. Unfortunately there was some confusion with the two different surveys (one for current fencers, one for non-fencers) and a few people filled out the wrong one, but most of the results are still good. There were approximately 50 people at the day, but the 21 surveys probably represent most of the active participants (as opposed to supporting family members). So the participants are very much skewed toward the very young and the veteran age groups. Possibly this reflects something in the nature of the event, perhaps simply calling it a Symposium tended to attract more mature women, with the youngest ones being brought along by them. Alternatively, these demographics do closely represent the female participation in our club, does it also reflect female fencing participation more widely? We’ll be passing these results to Fencing Victoria who may have a better idea. A clear majority for the epeeists! 2 people explicitly stated they don’t compete, we presume the other 11 don’t either. Advertising: Where did people hear about the event. The largest source of information was clubs and coaches, with 5 and 3 respectively, and one person citing Fencing Victoria. 4 people from Facebook and another from the website. 3 people from the local newspaper, one from the local radio, and one person from our community posters. Current fencers were primarily reached via their clubs and people they know in fencing. Possibly not as many are reading the Fencing Victoria newsletters as we would have thought. Prospective fencers were mainly reached via the local paper, although utilising many methods has resulted in more enquiries to the club (mostly for boys). Paid Facebook advertising was not effective at all, we probably wouldn’t bother with it in future. Do people want to see more events like this? The answer is a unanimous yes! Verbal feedback suggests people wanted a longer session. We had wanted a longer one as well, but were constrained by venue availability. How many events would you like? Of 10 responses, 6 said 2-3, 4 said 4 events per year. Nobody wanted only one or less than 1 per year. We didn’t offer an option of more than 4 because we felt the fencing calendar was too crowded and the organisation required was to great. Our hope is that other clubs, and/or Fencing Victoria can now use this information to plan further events. This is something the whole fencing community should be involved in! What activities do people want at events? So people aren’t too fussed about the free food, but guest speakers are popular as is the opportunity to fence and train with other women/girls. For this first event we threw in a bit of everything to see what people liked, and the response to our selection of guest speakers has been hugely positive. The young girls clearly enjoyed the chance to fence with each other, and one of them has written on the survey that she would like one of the Olympians to fence them next time. 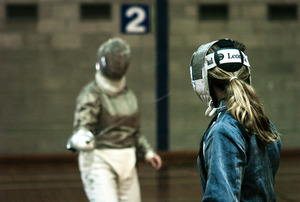 Undertake an skill set audit of women fencers, to see what skills are available that people can potentially contribute. This could be the subject of a survey at a future event. A project planning session regarding women in fencing and sport. We interpret this to mean a session for coaches/administrators/etc to discuss and coordinate further activities in this space. At least 2 training clinics a year specifically for women, with a fun/social aspect but also the opportunity to build skills. If time permits these could be combined with one or two guest speakers, perhaps on a particular theme, and practical development planning activities. An alternative to the speaker presentation model might be a panel discussing a particular topic. Having multiple insights from our speakers during the Q&A session was great. With regard to competition, it may be better to nominate a couple of existing competitions for each weapon as “the” competition everyone will try to attend? All the fencers who indicated they were interested in this as an activity we also people who were already competing at least at a club level. At least 1 session a year aimed at administrators, coaches and other interested women. To plan joint projects, share ideas and experiences, discuss professional development and opportunities. One or two sessions held very late/early in the year could possibly facilitate planning for the year ahead in clubs. We also asked our prospective fencers some questions on what they looked for in deciding to take up fencing. Most popular answers were fun, developing fencing skills and improving fitness, followed by making friends and developing competition skills. Most people went for all of the above. The majority wanted multiple (group) classes they could swap between, and about half were interested in women’s only classes. So there it is, what we have learned so far. Feel free to discuss in comments, or use as a starting point for your own activities. 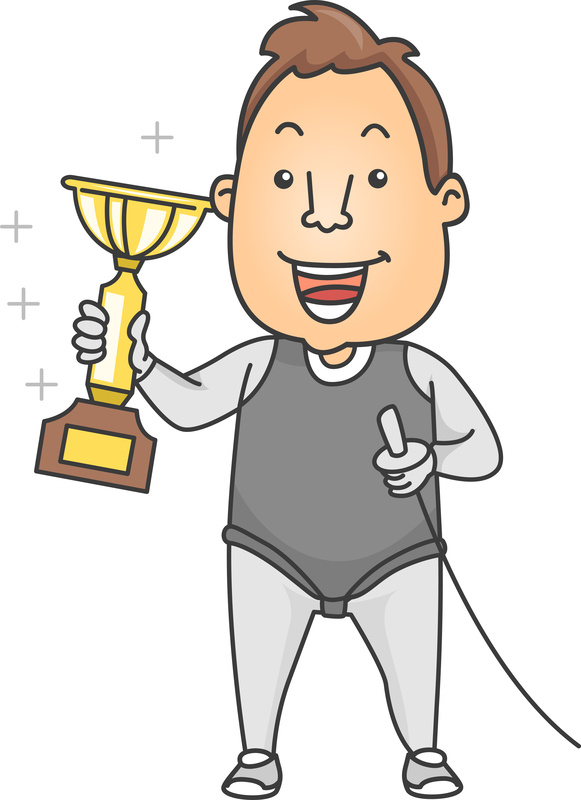 Now that the Olympics are done, have you or someone you know been inspired to take up fencing? We’ve just updated our price list with some great packages for beginners and young fencers wanting to sign up for the remainder of the year. No need to wait until term 4, you can get started straight away! The all-inclusive packages include club membership, classes, use of equipment, and some free individual lessons, all for $250. Or contact Lisa for more information – 0450 556 330. Whitehorse Chevaliers would like to invite women and girls of all ages with an interest in fencing to join us at our Women’s Fencing Symposium. 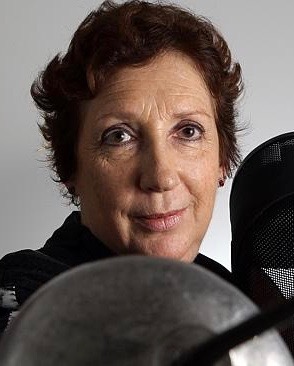 Helen began fencing at age 14, and represented Australia at three Olympic games in 1976, 1980 and 1984. She is an internationally qualified referee, Fencing Master of Arms in all three weapons with considerable coaching experience, has held administrative positions at additional Olympic Games including being on the DT for the Beijing 2008 games, been president of state and national fencing governing bodies, and president of the Oceania Fencing Confederation. This is not a complete list of her achievements! 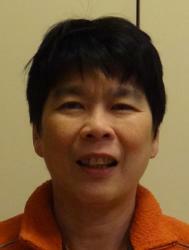 In 2008 she was appointed Special Advisor For Women In Fencing to the FCA (Fencing Confederation of Asia). She is a Member of Honour at the FIE, and received an Order of Australia honour last year. Evelyn Halls began fencing at the age of 10. She wasn’t particularly interested in fencing, but he sister was and they needed an extra person for the classes to go ahead. 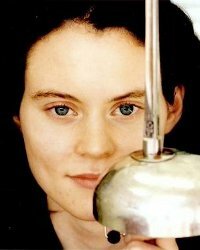 While it wasn’t love at first stab, over 30 years later she is still an active international competitor in Women’s Epee, and a regular on the podium at national Open events. She represented Australia at 2 Olympic Games in 2000 and 2004. Evelyn is now a Director on the board of the Australian Fencing Federation, mother to her daughter Gabriella, and continuing her career in law. Sam has been fencing Sabre for 15 years, starting in an after-school program at primary school where she was looking for a new sport to try. She is now four times junior and three time senior national champion, and continuing to compete and win medals at national open events. 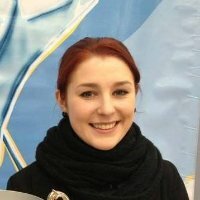 She is the current State Sabre Coach, and is an FIE referee in both Sabre and Epee. The women’s sabre event was only introduced into the Olympics in 2004 and a lack of female participation in sabre is something Sam experienced throughout her teenage years. Christina took up Foil fencing 5 years ago as an adult, and now competes in national Veterans competition events. We are very pleased to have her share her experiences as an adult beginner and competitor with us. There are many opportunities to fence during the school holidays, and it is a great time of year to enjoy an indoor sport! Our regular classes don’t run during the holidays, but our junior fencers are welcome to come and get some extra training in at the open training sessions. Nunawading will run on reduced hours – 10am to 12pm. Tuesday nights continue to run as normal from 7:30pm. With no classes on, this is a great time to request individual or private group lessons. As always, beginners are welcome. We are participating in a Fencing Victoria holiday program, running 4 sessions in Box Hill South, on July 5th and 6th. Each session is 2 hours long, costs $20, and it is possible to register for just one, or for multiple sessions to extend your skills beyond the basic introduction. There will be a number of great coaches involved, including our own head coach Lisa. If you know anyone who wants to try fencing, or have anywhere you can advertise the event, please spread the word! Get the flyer here. 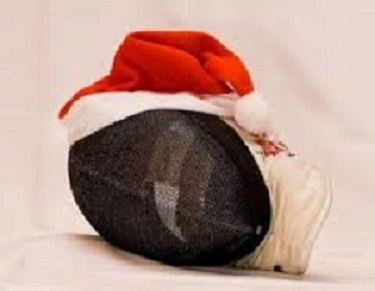 While aimed at beginners, existing fencers who want to have some extra fencing fun in the holidays are also welcome to join in. Sessions are run at 10am and 1pm each day. Last, but by no means least, don’t forget our laser-tag session on Monday July 4th! Join us at Dark Zone in Box Hill, 10am-12pm, for 4 laser games and 4 arcade games, all for $15 per person. Friends and siblings welcome, parents can join us for coffee nearby if firing lasers doesn’t appeal. Speak to our vice-president, Jenny, for more details.